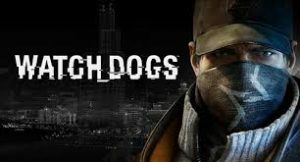 Watch Dogs plays out amongst an urban backdrop of Chicago. Players explore real-life areas of the city using techniques that are sneaky and coy. The game is filled with excitement and anticipation with plots that jump around. The main character of Watchdogs is out to find the people who killed his family for purposes of revenge. Gamers enter the game as the character and work to uncover clues and information to help him. Players are required to use every resource in order to bring justice to those who took his family from him. Players live through this character to explore torturous areas of the city as seen through the eyes of technology. It is a dark game and this is seen with the plot and design. The interactive forum is engaging with punk rock inspired music that aims at depicting the sadness and confusion of the characters. Gamers take on challenges and advance based on performance. The landscape brings surprises that at times, make the journey harder than expected. Enjoy the newest release of Watch Dogs on any gaming console.